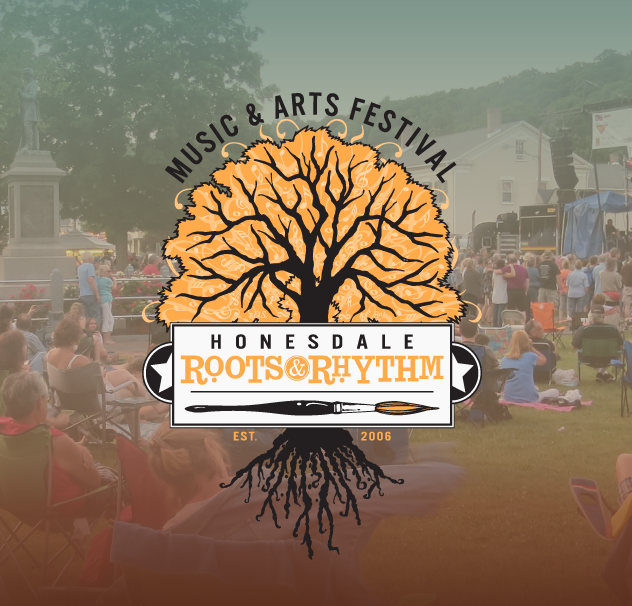 The Environmental Protection Agency (EPA) awarded Honesdale Roots & Rhythm Music & Arts Festival a Certificate of Achievement for food waste diversion from landfills. Roots & Rhythm’s Sustainability Team, headed by Stu and Cheryl Badner, oversee the festival’s waste diversion and recycling for the no-charge music and arts event each year. The festival is now considered “zero waste,” and the Badners report each year since the event was founded in 2006, less and less festival waste has gone to landfills. The Badners and the Roots Board of Directors especially thank the vendors along the festival’s Food Vendors Row who each year comply with efforts to reduce waste by using compostable or recyclable containers, plates, utensils, etc. Photo, holding the Food Recovery Challenge Certificate are Jamie Stunkard, chairman of the Roots board and Cheryl Badner, Sustainability co-chair, flanked by Luke Wolfgang (right), coordinator for Sustainability in Region III of the EPA’s Office of Materials Management,which is located in Pennsylvania, and his colleague Tom O’Donnell. The festival this year is June 17, 2017. Mark your calendars and be sure to congratulate our Sustainability Team when you see them there!